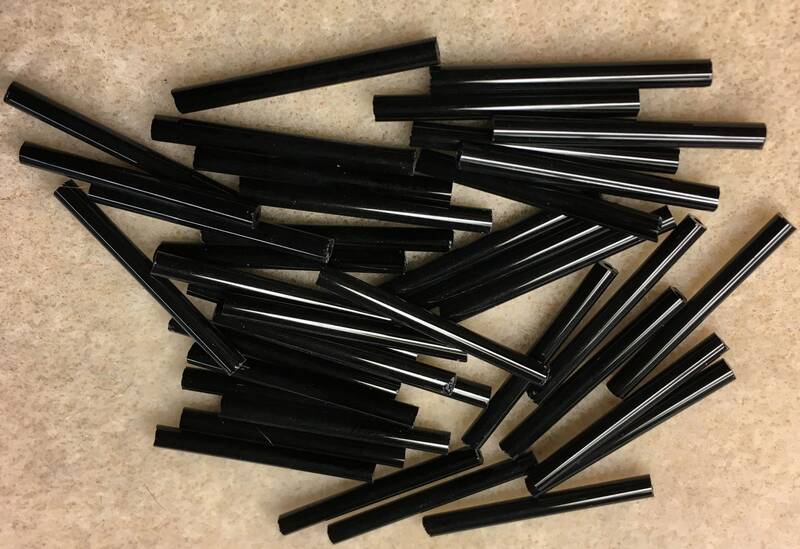 Czech glass bugle beads, 25mm jet black opaque glass, about 2 inches thick. You will receive one 2.5 inch tube of bugle beads. 40 beads per tube. Excellent service. Received item quickly, wrapped well. Thank you.